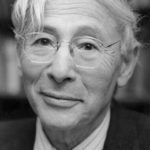 The Leo Baeck Institute, New York|Berlin mourns the loss of historian Arnold Paucker, who led the Leo Baeck Institute London from 1959 until 2001. Paucker was editor of the Leo Baeck Institute Year Book from 1978 until 1992 and a highly respected scholar whose academic work focused on Jewish resistance to the Nazis. 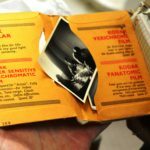 He died in October, 2016. 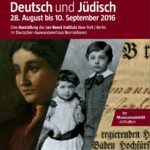 LBI co-sponsored two conferences in Germany in fall 2016: The conferences in Leipzig and Berlin took a fresh look at two chapters of German Jewish history—forced migration, specifically in the year of 1938, and Jewish life in the GDR. 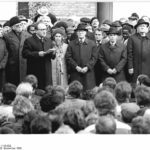 In recent years, the Leo Baeck Institute (LBI) has increasingly worked to support the engagement of modern German society with German Jewish history—especially from the perspective of the émigré community that built the LBI’s rich collections. The new traveling exhibit, “German and Jewish” takes this a step further. The objects in the exhibition are returning for the first time to the land that their owners left the better part of a century ago. 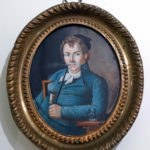 The banker Israel Jacobson (1768–1828) founded a school that became the first in Germany to educate both Jewish and Christian pupils. It was one of the first educational institutions to emerge from the Haskalah, or Jewish Enlightenment, and Israel Jacobson became a leader in the Jewish Reform movement. 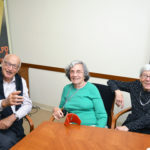 The Israel Jacobson Network, founded in April 2016 by representatives of 30 academic, cultural, business, and political institutions, promotes public awareness of the unique achievements of the remarkable citizens of the region. The founders of the network made it their goal to promote interest in Jewish history and culture through the creative use of historic sites. 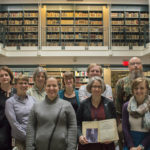 The Library of the Goethe-Universität Frankfurt added the 10,000th title to the Freimann Collection of books related to the Wissenschaft des Judentums. 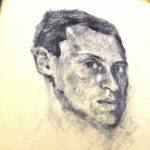 The LBI Library and the Center for Jewish History (CJH) have been working for years to help Frankfurt virtually reconstruct a foundational collection for Jewish studies that was once thought lost forever. LBI staff and volunteers gathered to recognize Arthur Rath (l), an Essen native who has volunteered his services in the LBI library and archives on a weekly basis since his retirement from the Queens Public Library some 20 years ago. 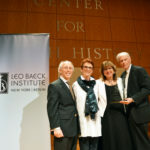 The LBI honored historian Susannah Heschel with the Moses Mendelssohn Award.